If you checked your phone last night, there's no doubt you saw the missing child poster that flooded WeChat and Weibo accounts in the PRD. "10-year-old Shenzhen girl went missing on the night of August 4, in the Liantang area," it begins. The poster goes on to provide details about the fourth grader, list family members' phone numbers and plead for readers to "help search for her on the street" and "share on WeChat and Weibo." The last wish, at least, was answered: we counted more than 20 reposts on our WeChat Moments over the span of a few hours. Have you seen this missing child poster? For all those who tossed and turned last night worrying about the 10-year-old – rest easy. 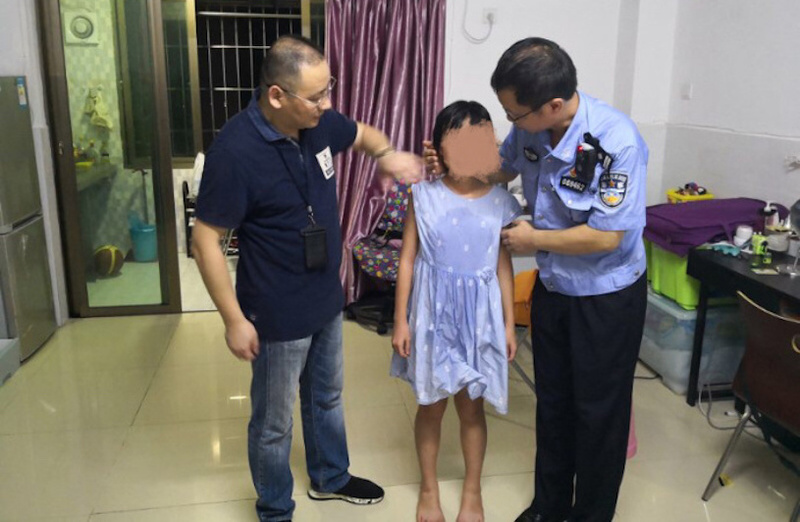 At around 11pm yesterday, August 5, Shenzhen police located the child in Yantian District, far from the Luohu location where she had been reported missing. According to Luohu District police's Weibo post, despite having been gone for over 24 hours, the child – surnamed Xu – appeared to be in good health and was reunited with her parents. In a sign of how widely her poster was spread, the post garnered well over 700 likes on Weibo. Xu had originally gone missing after an argument with her parents on the night of August 4, Shenzhen Special Zone Daily reports. In a strange twist, at around 9pm last night – a couple hours before the fourth grader was found – rumors began spreading on social media that she had already been located. It wasn't until after 11pm, however, that police successfully found Xu. Photos on Luohu police's Weibo show her eating a bowl of wontons and an ice cream cone at the station, sitting next to her no doubt relieved mother.